Have you been hunting for wallet-friendly offers for your cartridges? For fabulous discounted deals, and much more, purchase your replacement inks with Cartridge Save. Our company specialise in the delivery of only the most inexpensive Lexmark X2500 cartridges with our renowned customer service. Browsing for most of the day just for the least costly inkjet cartridges is a total time sink. You can stop spending time thinking about rates because all of the cheapest deals are right here. So start saving money and free time - shop at Cartridge Save today. Get complete satisfaction when you buy from Cartridge Save thanks to our company's cast-iron 12 month refund policy. So if you encounter troubles using your ink cartridge inside 12 months after buying you only need to mail it back to us to be sent your full reimbursement. Remember that you'll be offered with complimentary overnight delivery for every single Lexmark printer ink cartridge. 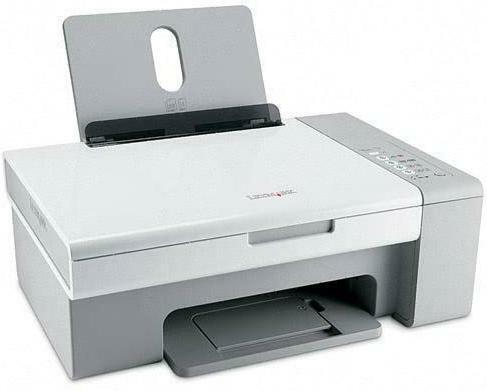 The Lexmark X2500 is an affordable multifunction device designed to perform a set of basic tasks for a small office. Users looking for a cheap printer for light usage will appreciate the X2500's performance. However, Lexmark has already discontinued this printer. It is also often criticised for its lack of an LCD screen. This multifunction device is 6.9 inches tall, 11.5 inches deep, and 16.9 inches wide. It is surprisingly lighter than most all-in-one printers, being only 10.4 pounds. The Lexmark X2500 has a simple control panel with 6 buttons for performing one-touch tasks, plus ink status indicator lights. The four-ink cartridge system integrated into the Lexmark X2500 lowers costs per page. The Lexmark X2500 is cheap and comes with a digital colour copier and flatbed scanner, along with a good selection of photo editing options bundled with the free software. The maximum duty cycle is 3,000 pages per month, which is enough for home and light use. While it is affordable, the Lexmark X2500 is not a heavy-duty photo printer. Picture quality is inferior. There are no built-in memory card readers, and there is no LCD screen. The Lexmark X2500 is very dependent on the PC for configuring the scan and copy functions. The ink cartridges are also wasteful.